The traditional classroom training/face-to-face model involves lot of effort in terms of labor, material, time, logistics and so on. When organizations have several geographical locations or when the organization is large, then trainings need to be conducted in batches, different time periods and by different trainers. 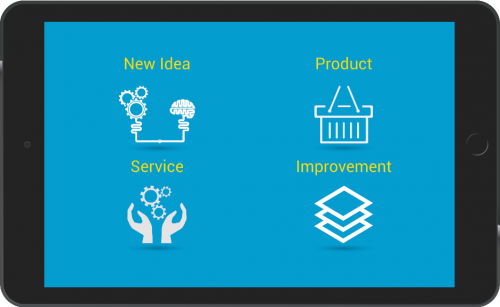 The challenges are compounded when we have lot of dynamics in play such as new products being launched, change of policies, and changes in processes and procedures. Also, whenever a new team is onboarded, they need to be quickly integrated into the organization with the right training. The availability of trainers, or rather the right trainers is also a very important factor. Therefore, the amount of time and money that goes into making the trainings a success is enormous. Moreover, the scope for having optimal training in all situations is very rarely possible. Blended learning emerged as a good solution for the aforementioned reasons/challenges. In today’s dynamic environment where organizations are in a tough competitive environment with regulatory and market changes, it is important that organizations constantly evolve by providing trainings in the most effective way. With the advent of eLearning and specifically mobile and microlearning, organizations now have enormous amount of choices when it comes to designing the most optimal and effective learning solutions. The way the trainings are blended is determined by a number of factors. I will share some blended learning examples next. In this blended learning example or model, the online learning is the major component of the training. When the training is on knowledge, some basic skills, understanding of the subject and applying them to work, the content can simply be digitised and provided as online training. The higher order skills such as analyzing or synthesizing the subject matter can be taught in the follow-up classroom sessions. The classroom sessions in this model can focus on intensive workshop activities which cannot be integrated into the online medium. This blended learning example shows us the importance of flexibility in designing the curriculum. In this blended learning example, either the online or classroom training can supplement each other. For example, the classroom session can focus on the skill based training and online medium can focus on performance support. Or, the pre-work can be done online, while the classroom trainings can take care of the subject matter. In this blended learning example, the learners go through both the online learning and classroom sessions to gain a good understanding of the project and submit assignments to validate their understanding to their mentors/trainers. This can be achieved with small project teams. Thus, project-based learning is an important blended learning example. 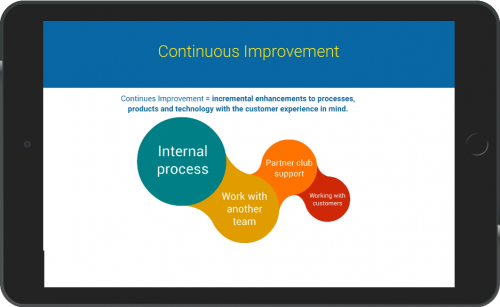 In this blended learning example/model, the entire training is imparted through classroom sessions, while only the assessments are taken online. The purpose of this method is to track the performance in a uniform or standardized manner. I have seen microlearning nuggets and videos working effectively as a supplementary material for the core training. 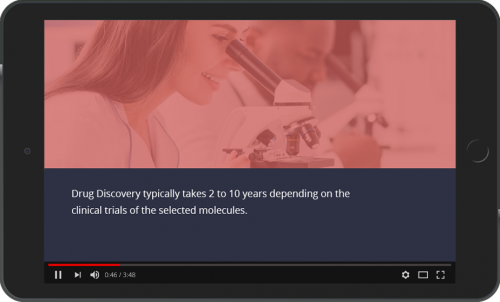 Microlearning and videos can act as performance support and also as good reinforcements of the concepts taught in either classroom or online training. As we know, people tend to forget the materials after a few days or weeks of the training imparted. Hence, it is important to help the learners with performance support that is just-in-time and complementary to the trainings. This a good example of blended learning. To conclude, the blended learning examples given in the blog are some ways to get the best out of your trainings. These models can be implemented to get better training and learning outcomes for your target group of learners. The post Blended Learning Model as an Effective Training Solution – Examples appeared first on eLearning. In previous blogs, we have discussed how storytelling, scenarios, gamification, evidence-based methods, Q&A are effective strategies to engage the learners. In all strategies, one thing is for sure, we are looking for higher engagement levels as compared to standard click and learn kind of eLearning courses. The standard eLearning courses are no longer appealing to the learners as they don’t engage them enough. They may still go through the eLearning courses but would do so to complete them as per mandate and not with any seriousness. So, a good way to keep learners engaged is through interactivities that have the question component and asks learners to perform a series of steps that takes them forward. Let’s look at the various types of interactivities. An interesting way to appeal to the learners is by asking them whether a particular statement is a myth or a fact. For any given subject, we have some popular perceptions. So, by asking learners to choose between a myth and fact will help them exercise their grey cells and think for a while. 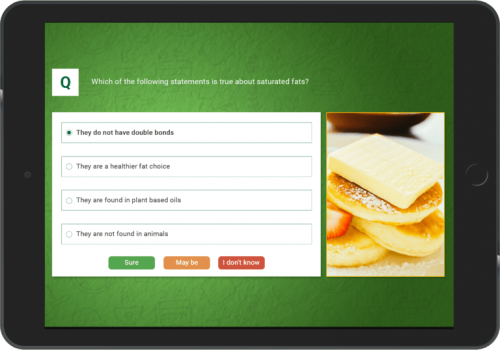 The purpose of this kind of interactivity is to help learners test themselves as to how much they really know about the subject. An interesting example of this activity is about say “Road Safety”. The learners may have certain assumptions about how to drive vehicles, the number of accidents that are generally reported, the best ways to drive during night or on highway, the correct method of giving way to another rider and so on. By starting a course by asking learners about myths and facts related to the concept will make them understand it at a deeper level. An interesting strategy is to use rhetorical questions such as Agree/Disagree or “What do you think?” to make the learners think about the subject. This is a strategy that has evolved from classroom or face-to-face teaching. Good teachers generally start by asking rhetorical questions to wake up students from their slumber or inattentiveness. In the digital learning situation, asking such questions will help learners exercise their mental faculty better. Another strategy is to have short or mini-cases to tell a story of a product or a success/failure. This can be followed by question to the learner as to what went right or wrong. This strategy helps learners understand the concept better. An example of this could be a failed drug that had to be called back or a failed car tire that caused accidents and had to be recalled by the company. Such cases add spice to the courses and help engagement levels go a notch higher. This is a variation of a multiple-choice activity. While in multiple choice activity, there is a pressure to perform and get the answer correct, there is no such pressure in a checklist driven activity. Learners are presented with a series of items that they think are applicable to a situation. There are no right or wrong answers, but diagnostic feedback that helps learners learn about the concept better. 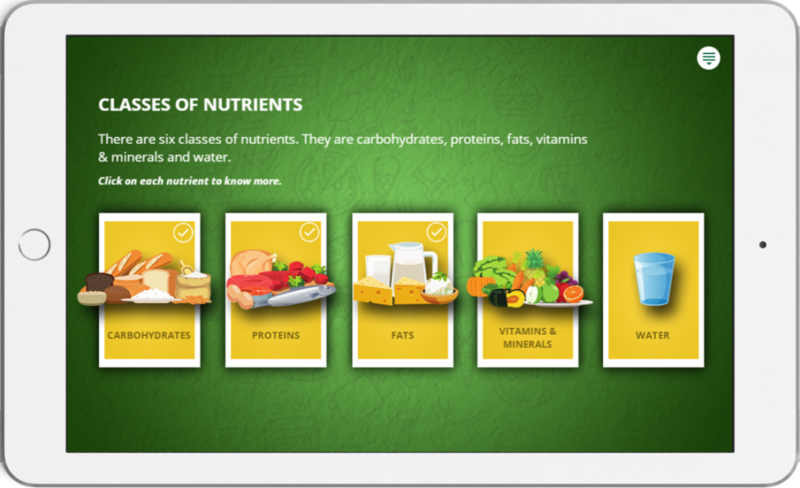 An example I can think of is a series of statements related to food habits of adults in a course on food and nutrition. These statements will help learners gauge their understanding of concepts better. Another interesting and time-tested interactivity is comparison. Learners are presented with two pictures and asked about which one is correct or a better way is of performing a procedure. 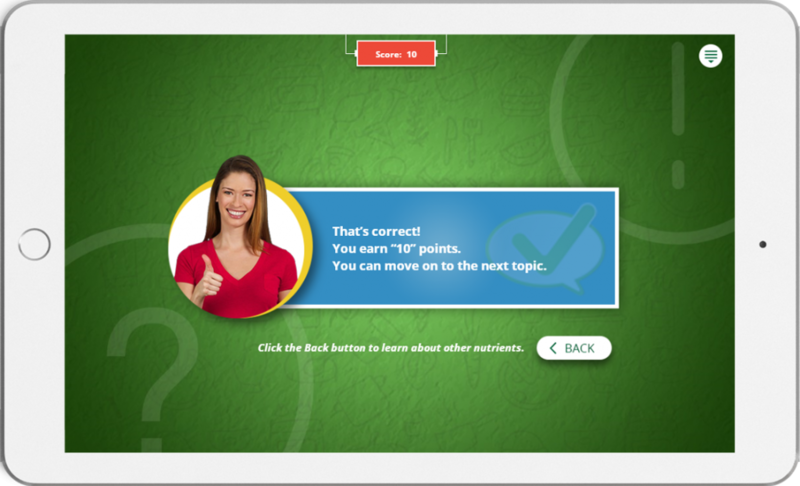 After the learner selects an option, the feedback is provided with additional learning and resources. This strategy works well when we are talking about processes and procedures. Instead of just showing a series of steps, we ask learners to make an active choice. The learners are engaged better in this manner. 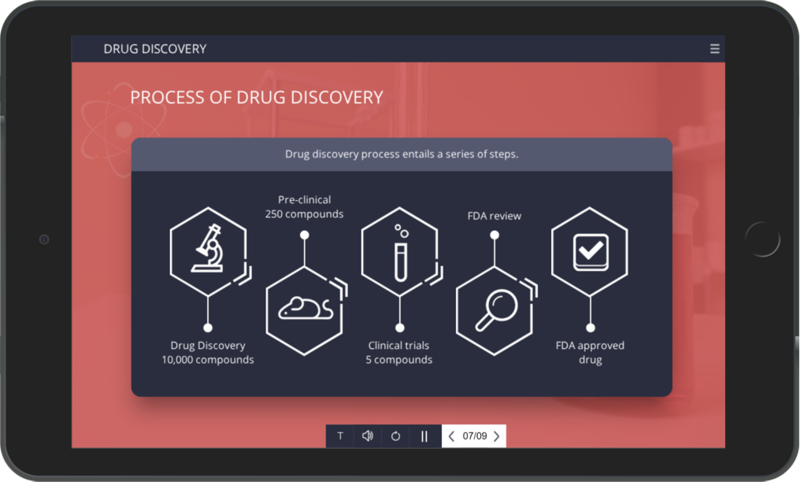 The customer wanted their inductees to understand and appreciate the process of drug discovery. We created a course with an interesting interactivities such as mini-cases with follow up questions and decision trees to evoke right responses and better learning. The course was able to help the learners make better choices and improve their learning process. The customer wanted a course that would help improve the completion rates and better application of knowledge gained. We created a course with a series of interactivities. One such interactivity was scenarios with questions. The course was well liked and helped the customer achieve their training goals. To conclude, there are many ways to make course interesting even when we are following the standard exploratory or discovery-based approach to teaching. The clue is to keep the course interesting by having good interactivities that keep the learners engaged and interested in their learning journey. The post Creating Great Custom eLearning Courses Using Varied Interactivities appeared first on eLearning. Every day 2.5 quintillion bytes of data are created and stored in databases. Most of the decision-making daily is a result of the statistical analysis. Facebook knows to suggest new friends, Netflix knows the television shows you would like, and you look up Trip Advisor to check the highest rated restaurant, betting on the statistical data that you will have a good stay. GoodReads is another popular book recommendation engine. Its algorithm leverages the search of over 20 million different data points, considering the preferences of nearly 6 million users, as well as the rating system which is the key component of the site. Another striking online service that makes use of data and databases is Pandora Radio. This service provides various song recommendation based on users’ music preferences. IBM Watson, a pioneer in the field of Cognitive Medical Analysis, uses diversified medical information across the hospital branches, to help doctors save time during diagnosis. But how is this data visualized and analyzed to provide accurate statistical information to users? This data-informed approach is emerging from a new generation of Data Mining. Data Mining is the process of analyzing hidden patterns of data, segregating and forming meaningful relationships between them. But, can data mining and corporate eLearning shake hands? All corporate learners deserve a great learning experience, one that affords every opportunity for them to grow. But every corporate learner follows a unique roadmap to build their careers. Every L&D department in the organization needs the right data in the right format and at the time. This data enables them to understand their learners and guide them aptly on their respective learning journeys. All said and done, educational data is huge and cannot be analyzed using spreadsheets. They need an in-depth analysis of the hidden data in order to understand learners and their learning behavior. Now, enters EDM. Before we understand what is EDM we need to know what learner data is. Data helps us make connections that uncover insights about a learners’ learning behaviors. These learning behaviors when analyzed forms a pattern which helps the L&D and Instructional Designers to understand the learners’ needs. The pattern that is collected and interpreted is called “learner data”. The learner data usually includes academic and demographic information- as well as information from assessments, online surveys and polls, leaderboards, L&D observations, and learner’s Digital Body Language. With this in mind, let’s understand what is EDM and its uses in corporate eLearning? eLearning is a blessing to the data miners. eLearning has large amounts of learner data which are endlessly generated and ubiquitously available. Learner data is an exponentially growing nightmare, in which unstructured information chokes the L&D department without providing any articulate knowledge. EDM was born to tackle problems like these. EDM is emerging as a research area with a suite of computational, psychological and research approaches for understanding how learners learn. This now leaves us with a question how can EDM have an impact in corporate eLearning? EDM aims at using algorithms to leverage better learning results in order to enhance learners’ decision making. Let’s see how EDM can be used in corporate eLearning. EDM is a unique technique that involves forming a validated model for leaner behaviors. The models are formed by the learners’ digital footprints. When these footprints are analyzed on a regular basis it forms a pattern. This pattern is called the map. L&D professionals can analyze this map to form questions about learner’s learning behavior. This technique is called Map Probing. What sequence of the topic is most effective for the learners? What learner actions are more associated with learning? What learner actions indicate satisfaction, engagement, learning progress, etc.? What features of an LMS will lead to better learning? What will predict learners’ success? EDM helps to determine the hidden learner data in the learning environment. The learner data is collected and reported by using learning analytics. The collected learner data will be in the form of tables and relationships, devoid of learner’s ability to understand it. Hence, they should be visualized in the form of graphics to tap the ability of learners to understand their progress. Thus, visual data analytics is used. When are the learners ready to move on to the next topic? When are the learners falling behind in a course? When is a learner at risk for not completing a course? What grade is a learner likely to get without intervention? What is the best next course to be suggested to the learner? Should a learner be offered additional help? Which instructional design practice is effective at promoting learning (e.g., microlearning vs. game-based learning)? Does the newly added curriculum work better when compared to the previous one? EDM helps in studying the effectiveness of different learning system components and instructional practices that can contribute to the design of better learning systems. Thus, EDM will have strong implications on eLearning. To cut long story short, clearly, there is a place for EDM in eLearning. As training and content move online, EDM will enable eLearning to be always assessed at all levels. L&D professionals will benefit from understanding the possibilities of the development of EDM. EDM will continue to grow in the coming years. The post Dramatic Use of Educational Data Mining in Corporate eLearning appeared first on eLearning. Have you picked a new skill in the last years? Or studied a programming language on your own? In this article, I talk about the self-directed learning and its similarities with adaptive learning. People are enthralled by stories of individuals who renounced traditional education yet still become champions in their field. Bill Gates, Ellen DeGeneres, Anna Wintour, Michael Dell, Larry Ellison; none of them have a college degree, but they have achieved a level of success only a few can match. How did they do this? What is their secret? In my previous article on “6 Benefits You Should Know About Adaptive Learning in Corporate Training“, I spoke about the overview of adaptive learning and its benefits for corporate learners. But, in this article, I would like to sketch the similarities between self-directed learning and adaptive learning. Are these two similar? Before we dig deep, let’s first understand what self-directed learning is. Nowadays, self-directed learning is more of an organizational necessity. This is because of the constant need for re-skilling due to increased technological advancement. New knowledge hoards so quickly, and industries change swiftly that traditional learning styles and paths cannot keep the gait. Unless you had a degree in clay jewelry fad of Ancient Egypt, chances are your degree is outmoded. Nonetheless, some newly detected Bedouins will capsize the terracotta archetype. So, What Exactly Is Self-Directed Learning? So, how does this ring a bell with another learning strategy? Don’t you think it is analogous to adaptive learning? Well, I think there is a fine line between adaptive learning and self-directed learning. I feel, self-directed learning is all about the learning context created by learners whereas adaptive learning is about the learning context the computer algorithms create. But the major fleck between the two learning methodologies, is that, they engage learners in learning through a growth mindset. Adaptive learning framework is built upon confidence-based assessments. Let’s take a look at it next. Learning through growth mindset involves confidence. The algorithms are created to test the current understanding of the learners and also their confidence of the subject by additionally qualifying the questions with confident/not confident choices. Here is a course that has the confidence-based assessment and the associated remediation that is provided immediately after an incorrect answer. Adaptive and self-directed learning enable the employees to set Specific, Measurable, Action-oriented, Realistic and Time-defined goals on their learning journey. These goals help employees to be constructive even in their off-productive hours. They give the ability to break down the learning material and give employees enough time to learn each chunk. Thus, it avoids ambiguous, amorphous, unrealistic, irrelevant, and delayed learning. Most of the corporate training programs make use of limited resources and materials. This means, the training programs are sparse and scheduled in such a way that it disrupts the employees’ working schedule. Who wants to attend a training session in the middle of a major project-deadline? Adaptive and self-directed learning legitimize employees with flexible learning schedules. Both the learning methodologies give the employees to choose their learning paths. They also provide them with digestible learning content which can be learned at their own pace. Thus, employees see training as an opportunity and not as a task to be completed. Employees, nowadays, are expected to take charge of their own learning. This can be achieved through adaptive and self-directed learning. Both the methodologies provide the right learning processes and strategies to the employees to embark on their learning journey. Adaptive and self-directed learning also support errors and mistakes. This, in turn, helps the employees gather the necessary evaluation, take time to reflect on them and track their progress effectively. This thereby encourages a growth mindset which in turn fuels continuous learning culture in the organization. A conventional method of training path gives employees a clear-cut motivation; to complete the training to be on the project. But in adaptive and self-directed learning, employees will create their own motivation as this encourages them to never stop learning. Adaptive and self-directed learning uses the philosophy “the more I understand, the more I get excited about it”. Thereby, nourishing the internal motivation of employees. 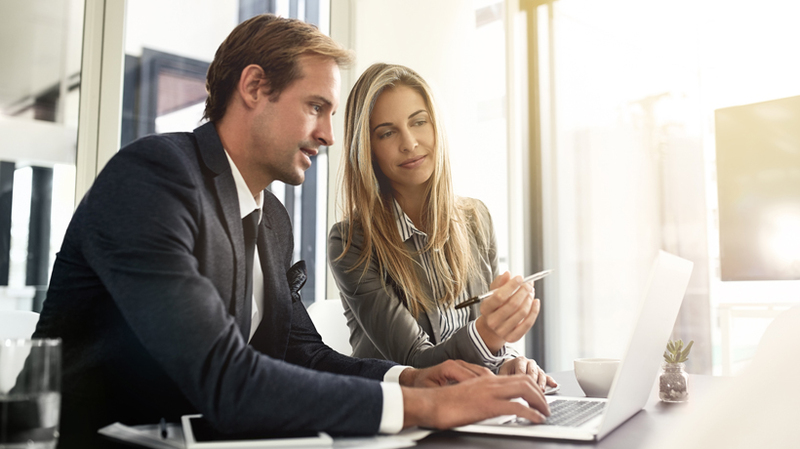 Employers can support adaptive and self-directed learning by communicating the organizational needs and goals to the employees so that they can align their personal visions with these goals. The employee’s personal vision will act as an inception for them to lay out their work-related learning goals. By shackling employee’s learning goals with organizational vision, employees’ learning can be directed to business outcomes. Self-directed and adaptive learning is a smart way for organizations to invest in enabling their workforce. They are one of the many strategies that are can be used the quench the contemporary learning needs of employees. They can foster a lifelong learning culture among the employees. The post 5 Distinct Uses Of Self-Directed And Adaptive Learning In A Corporate Habitat appeared first on eLearning. The post Implementing Video-Based Learning Strategy Effectively In Corporate Learning appeared first on eLearning. 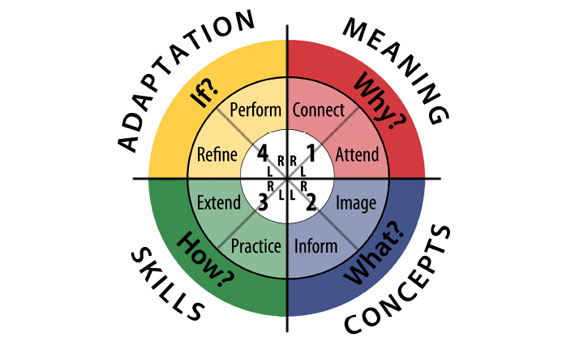 The 4Mat model of instruction design is an offshoot of the Kolb’s learning styles. How exactly it can be used to create better digital learning experiences is the focus of this article. I have presented in my previous article on Kolb’s model that all learning happens due to real world experiences which then help people form mental models of that experience. Some people actively experiment with the new learning and create further experiences on the subject. In the Kolb’s learning cycle, the learning begins through an experience the learner has. The experience then makes the learner reflect on it, think about it and create new mental model that he/she can apply it in another situation. Through careful application, the experiences are refined and further changes are made to create another concrete experience. The 4 Mat Model is derived from the Kolb’s model in that there are new and easier terms that are overlaid on it. The right brain part of the model calls it “why” and “what” of learning. The left-brain part is about “How” and “If” of the learning, that is how the process works and can be implemented and refined through “what if” scenarios. The diagram is given below. The 4Mat model was propounded by Dr. Bernice McCarthy’s that talks about learning styles and behaviorism in a concrete manner. 4Mat attempts to take advantage of the learning styles (as explained in Kolb’s model) to achieve better learning outcomes. Let us look at each question to understand what they imply. The why part of the learning cycle is crucial to understand, why is it important for learner to know the concept. What happens when they do not understand the raison d’etre of the concept. A simple example is safety training wherein the learners are told why the need to learn about the concept of safety and what will happen if they are not aware of the safety processes. This can be introduced as an example or a picture or an analogy. Learners who are in the first stage of the cycle are “experiencers” and want to connect/attend to the concept. So, for the new experience to ingrain in their mind, they would require a “why” component to play out clearly. The question “what” is asked when we are trying to conceptualize the new information that is being presented. After the experience is done with, a question that often comes to our mind is, “what was that? What happened?”. 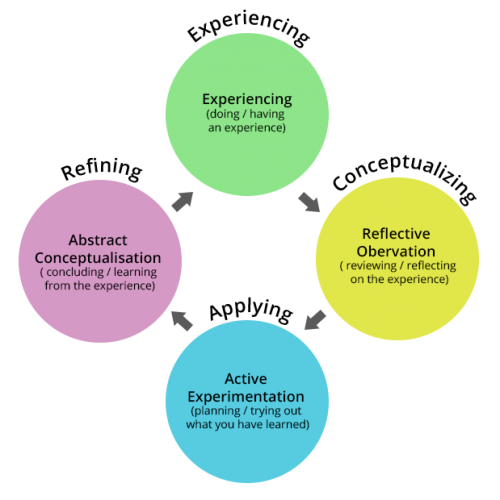 This is part of the thinking where the learner or observer starts to make sense of the new experience, new concept or new content and integrates that into the experience using reflection and contemplation. This is a natural process and should be presented carefully to the learners. Taking our earlier example of safety, learners are presented as to what is safety, what are the various aspects of safety that they should take into consideration at workplace. The next question “How” tries to answer as how one should apply the concept that is learnt. So, this forms the logical or reasoning part of the brain, and the learner tries to sequence the information and apply it into daily life. So, if we take the example of safety again, here learners are presented steps to stay safe, or procedures that they must follow to stay safe. A good corollary for this is how to use a fire extinguisher in case of fire emergency in office. The “How” part of the model takes the lions share in terms of designing a course. Learners are often interested in “how to get things done” rather than what the process is all about. This is natural for today’s busy learners and learning designers must provide sufficient content in the course for the how part. The last question relates to the concretization of the experience. After applying the concepts learnt, the learner gets new questions in mind which must be answered to refine the response. A simple example would be what if a particular type of fire extinguisher is not available? What if the building’s evacuation plan is not available and so on. So, these additional what if scenarios help learners to refine their understanding of safety better. They play out all possible scenarios of emergencies which they then take to a logical conclusion. In terms of Kolb’s model, this part helps learners equip themselves better and should not be neglected by the learning designers. A good checklist or job aids should be prepared so that learners are ready with correct responses in all situations. We have developed several courses and have applied 4Mat in designing them. 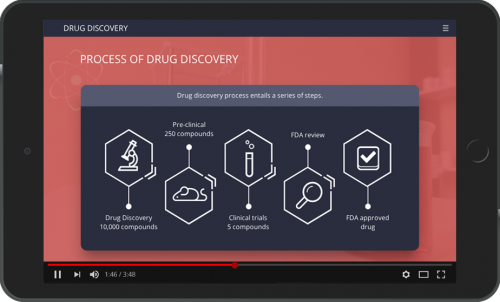 One such course was for drug discovery, where we first explained, why drug discovery is important and why it takes a long time to come up with drugs that can be released to market. The how part of the course contained a decision tree activity wherein the learner could try out various combinations of molecules and see how much time does a drug take to be tested on rats, then humans and then go through the approval by the respective drug administrators before getting released to the market. To conclude, 4Mat model is a simpler yet an effective way of imparting instruction by combining all the 4 parts of the brain and addressing the concerns of varied types of learners. The post Using 4 Mat Model for Creating Engaging Digital Learning Experience appeared first on eLearning. With Millennials increasing in the corporate environs we need to keep our microlearning engaging. 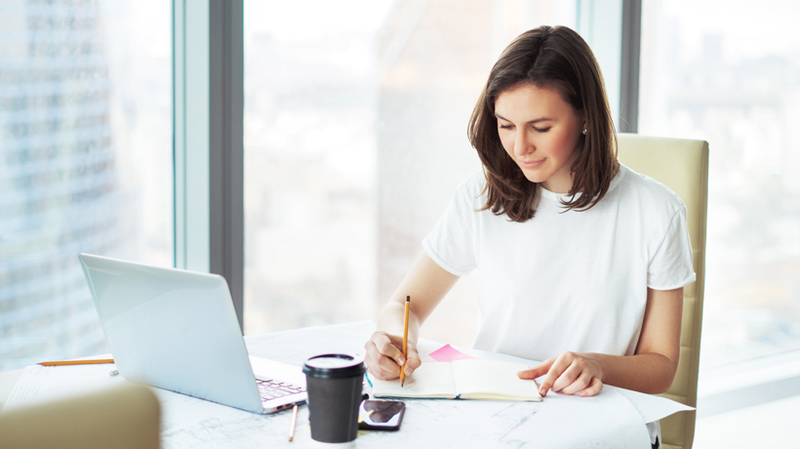 Here are four tips on how you can create a successful microlearning strategy. Microlearning is an interesting way of teaching concepts to, in short, focused nuggets or micro-bites. As a matter of fact, microlearning is a trend that is here to stay. According to studies by Alorica, by 2025, Millennials will make up 75% of the workforce and the average attention span for the generation would be 90 seconds. 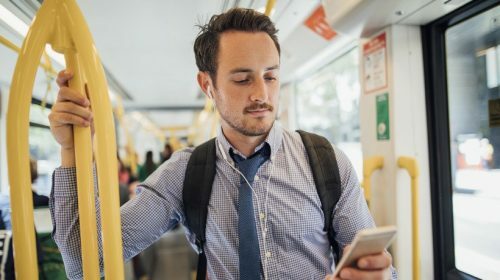 With short attention spans, do you think having microlearning as a learning strategy would effectively address the challenges of shriveling attention spans and distractions? Before we continue, let’s have a look at the cause of shriveling attention spans and distractions. According to Pike’s 90/20/8 rule, a concept or content can be thought for 90 minutes without a break; however, the content needs to be chunked into 20-minute sections with interaction for every 8 minutes. How does it affect a microlearning strategy? Let’s look at it next. Brian Dwyer explains that, according to brain research, a learner’s ability to sustain attention is affected by the periodic variations of the neurotransmitters in the brain that regulate attention. The brain works in periods of high attention levels followed by multiple periods of low attention levels. These variations occur at regular intervals of 90 minutes. Learners stop focusing or tune out if adequate breaks are not incorporated in training. 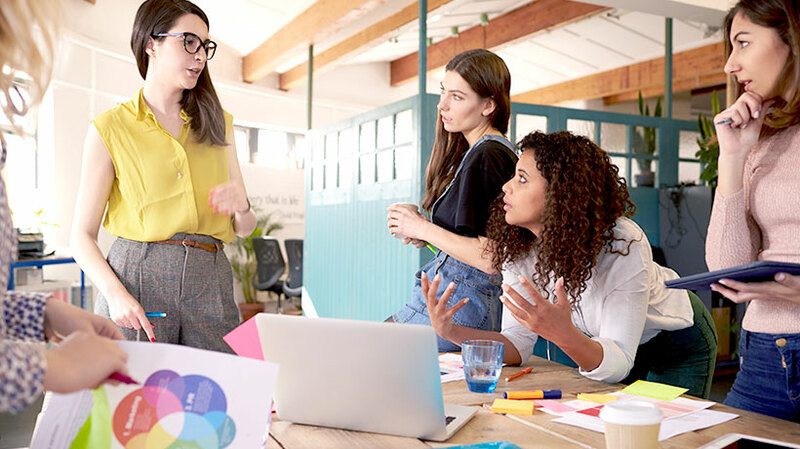 Maintaining the attention of millennial employees had become a difficult task in organizations due to the variations in their attention spans. This was when “microlearning” was introduced in organizations. An impactful microlearning nugget is not more than 3-5minutes, which means that learners can effectively comprehend and retain information. This is crucial, as it impacts the microlearning strategy that is devised for impactful learning. In today’s corporate environment, what is needed is a wholesale transition from theoretical knowledge to practical action-based knowledge. This comes from accepting the fact that a person’s job is fluid and what he/she already knows matters less when compared to how quickly they can learn. To build this rapid learning culture, organizations began experimenting with microlearning. A solid microlearning strategy involves delivering short, impactful learning experiences for employees, to help them learn effectively and efficiently while working. But, how do we implement a microlearning strategy successfully? Microlearning is inherently agile and captivating when it comes to learning. But, the real benefit of microlearning relies on how it is drafted, designed, formulated and implemented. 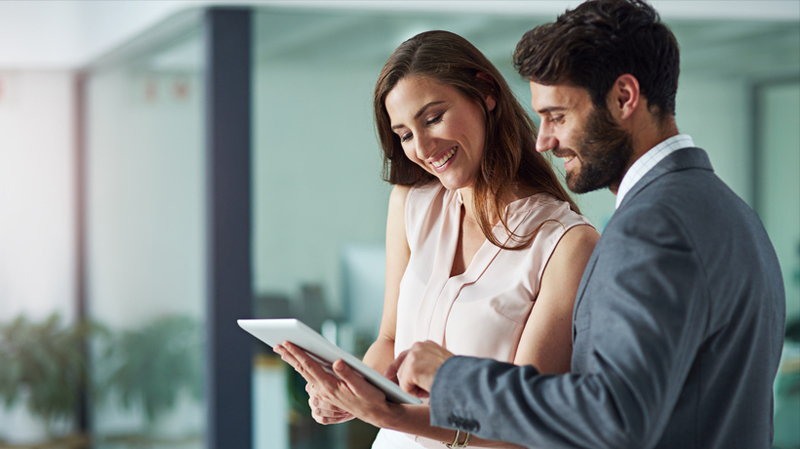 Here are four guidelines you can keep in mind while devising a microlearning strategy to drive better employee performance. A moment of need acts as a catalyst when the employee/s require help, guidance, or learning to accomplish their tasks. Most standard eLearning is hard to aid at the moment’s need; so, by the time employees get to the task, they are already occupied with something else. Thus, leading to less engagement, less utilization, and less impact. As employees approach the moment (for example, sales meeting, solving a real-time problem, a presentation, or even promotion) they use microlearning to prepare. For example, say a salesperson wants to give an elevator pitch to one of the important clients. Before going to the pitch, he will brush-up his skills on the subject using microlearning nuggets. During the pitch, he puts what he has learned into practice. After the pitch, depending on the client feedback, he takes up a microlearning module to improve his performance. The main aim of microlearning should be to change what people do rather than what they know. Workplace behaviors – like constructive feedback, design thinking, or decision making – are complicated to implement in practice. Microlearning makes new behaviors less intimidating by helping employees to gradually build consummate fluency at focused periods. The best part about microlearning is that you can help learners get straight to the point where they practice and learn the concepts. Instead of a swipe-swipe experience, the objective of a microlearning course should be to actively engage the learners. For this, we need to have micro-interactions. Micro-interactions could be a simple moment where learners need to perform an action that shows what they have learned in the module by simply selecting the like button. They can also answer a quiz and receive stars for the performance. The micro-interactions help learners to focus more on the content. Micro-interactions are small, but add an engaging element to the learner. Call-to-action is simple, concrete and a small win. After the completion of the action, the learning is likely to feel good. Together, these four strategies will get employees in the habit of learning and developing all the time. Microlearning helps employees to develop a habit of continuous learning which in turn helps organizations succeed. The post 4 Tips On Making Your Microlearning Strategy A Success appeared first on eLearning. Have you picked a new skill in the last years? Or studied a programming language on your own? In this article, I talk about the self-directed learning and its similarities with adaptive learning. This post was first published on eLearning Industry. L&D managers should desist from using solutions that are appealing yet unproven in their effectiveness. Instead, they should try adaptive learning in corporate training. Adaptive learning is increasingly being used by learning professionals, as it helps organizations provide personalized training to their employees. Before we delve deeper, let’s first understand adaptive learning. One size does not fit all. Adaptive learning is a methodology that is used to implement learning that suits the needs of a learner or, in other words, adapts to confidence as well as the understanding of the learner. Consider a standard eLearning course that has course content and elements. 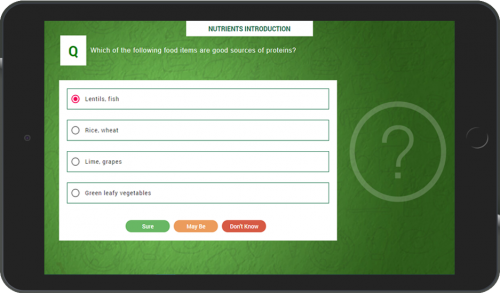 In a standard learning practice, learners login to the LMS, go through the course and answer the questions that follow on the concepts. If they answer the question correctly, they go to the next topic. If they are unable to do so, they are asked to re-attempt the quiz. In a standard learning path, all the learners have a similar experience of the course. They go through the same screens and answer the questions. Here is an example of a confidence-based assessment. Adaptive learning in corporate training is the future of employee training. Adaptive learning provides methods and learning paths that are unique to each learner. Furthermore, through inbuilt efficiencies, adaptive learning helps the organizations to meet their business and training goals. Here are 6 advantages of using adaptive learning in corporate training explaining how it can elevate corporate learning. Adaptive learning helps in providing focused attention on an individual. Current eLearning methods do fall back when it comes to providing personalized feedback. Adaptive learning technology uses algorithms to accustom itself to the learner needs to be based on the tasks and responses. This, in turn, emulates one-to-one instruction, which is necessary in today’s corporate world. Adaptive learning helps learners to spend half the amount of time that they take in a standard course if they have a clear understanding of the concepts. A “personalized approach” is what helps learners to achieve the same. The important point here is that learners need not go through the content which they are already aware of. Instead, they focus on the content that helps them become more competent. Thereby, helping the employees save humongous time off the floor just for training. Thus, adaptive learning in corporate training helps organizations build better training. Adaptive learning utilizes a confidence-based assessments methodology to test the current understanding of the learners. Learners are asked to answer questions on content they claim to be confident about. This approach is very useful in knowing what the learners are consciously or unconsciously aware of, and hence is an indirect method of providing personalized feedback and learning. 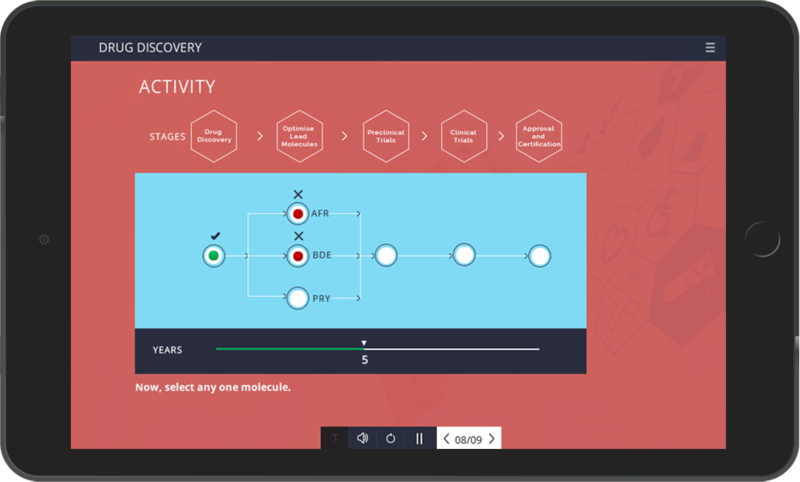 Adaptive learning platforms collect data as the learners progress through the modules. This data is then used to help personalize goals, learner content and an effective learning path for each learner. The data stored also helps to regulate the training, so they meet the needs of learners. The adaptive learning platform’s ability to track the performance of an employee in his or her “skill” also provides HR managers a scale of measurement of whether the employee is ready for a promotion. Thus, adaptive learning in corporate training helps learners advance faster in achieving their goals. Adaptive learning is ideally suited for a group of learners that are diverse. Adaptive learning is tailored to all types of learners, whether they are beginners, intermediate, or advanced in their understanding of the concepts. 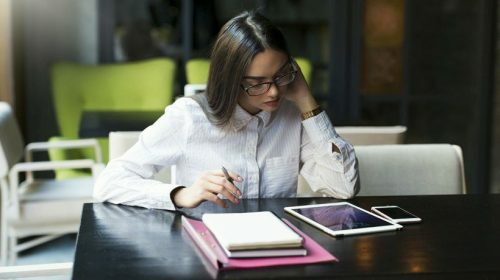 Instead of wasting time over-studying topics learners have mastered or under-studying concepts they haven’t yet grasped, adaptive learning in corporate training helps learners focus on areas of weakness with efficient remediation. Adaptive learning in corporate training solves pressing challenges that organizations and learners face by custom-tailoring the learning paths continuously and creating individualized learning paths. Adaptive learning is here to stay and will be increasingly adopted to foster better learning outcomes and retention of learning, as well as better application to the job. The post 6 Benefits You Should Know About Adaptive Learning In Corporate Training appeared first on eLearning. The year 2018 has been quite hectic for eLearning with newer trends taking traction. What will unfold in 2019? What are the key trends to watch out for in the coming year? I will share my thoughts on the same in this article. eLearning Trends For 2019: Which Form The Top 8? In my last year article on eLearning trends for 2018, I had predicted that adaptive learning will become stronger with greater adoption. It seems to head that way, as many new players are emerging. Adaptive learning, supported by confidence-based assessments and strong analytics and measurement of training effectiveness, is taking learning to the next level. Very soon, in 2019, adaptive learning will make further strides in the eLearning marketspace. Organizations and learners will benefit as organizations ensure that there are better competition rates, and learners will enjoy the learning process as they get to see only that content that is personalized to them. Using effective assessments, learners can skip the content that they are completely confident about. LMSs are slowly gearing up to compete with platforms that are offering adaptive learning. Hence it will be an important and interesting trend to watch out for in the coming year. My gut feeling is, adaptive learning is here to stay and the experimentation phase is over, and it will all about action in 2019. Microlearning was a strong trend in 2018. I have seen that organizations are increasingly looking at microlearning as an important solution. It is a great method of implementing learning in small chunks that are objective driven and can be easily and quickly deployed within organizations. Organizations that are looking to take advantage of microlearning will continue to benefit from this interesting and innovative mode of learning. Learners benefit too as they get through the modules quickly and can repeat the learning many times as well. Retention is better, and they are less fussy about going through a boring hour-long module. 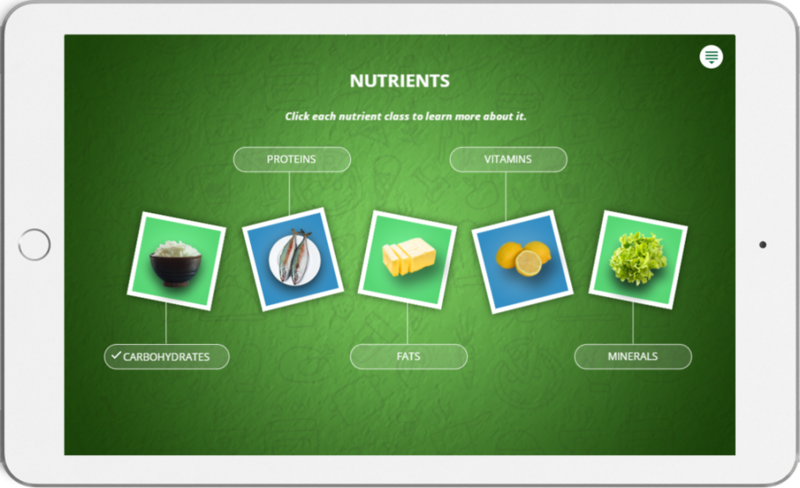 Microlearning can be implemented as videos, small games, quizzes, and infographics. 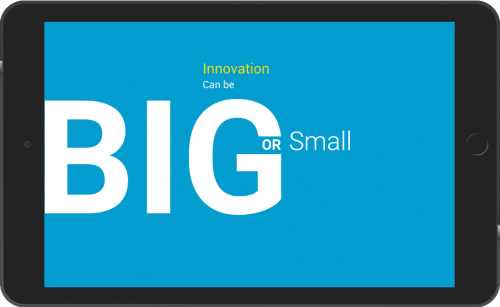 The great advantage of microlearning is that it can be implemented on any device. I feel microlearning will continue to be a strong trend in the year 2019 and beyond. Artificial Intelligence assistance has picked up in the eLearning space. Organizations are now offering innovative solutions where bots are able to guide learners both on the learning path, as well as during the courses. Artificial Intelligence will be used to predict learner behavior, as well as help personalize the learning. Based on the modules that were taken by learners and the difficulties or challenges faced, better personalization will be brought about. Voice-guided bots will also help learners to search for key content in modules. As I see it, organizations will be implementing newer methods of Artificial Intelligence support for their learners in both the learning process and during the moment of need. An example of this could be an intelligent chatbot that can act as support for technical queries. Added to the mix is the use of robots for helping kids and people with special needs to learn new skills, and help them in the moment of need. My take is that Artificial Intelligence will continue to be a very strong trend, and that it is something that will change the learning landscape in 2019 and beyond. Gamification and game-based learning were strong trends in 2018. Organizations are increasingly looking at investing in game-based learning to empower and engage their learners better. It has been observed that gamification has improved retention rates and better application of the subject matter learned at work. Organizations will look to implement more game-based solutions, as they see them as value adders for the organization-wide learning. Games that are well thought out, well designed and address the needs of learners engage them effectively. It has been proven through numerous implementations that games help in releasing happy hormones, such as dopamine and serotonin. A learning organization is one that takes advantage of game-based learning. In my opinion, game-based learning is here to stay, and will continue to be a strong trend in the year 2019 and beyond. Virtual Reality and Augmented Reality are both growing rapidly as important modes of implementing learning content. It has been observed that K-12 has adopted Augmented Reality in a rapid way to teach various subjects, such as Science and Math. The great thing about Augmented Reality is that it can augment the existing content through interesting overlays of graphics and images that can pop out and thrill the learners. More than the thrill, it is the experience itself that helps learners connect to the content better. Virtual Reality continues to grow as it is used in teaching various safety-related procedures. Organizations are now looking at Virtual Reality as an important solution, as eLearning companies use effective Instructional Design strategies to enhance the VR experience. Using a mixture of 360-degree photographs, interactions, and many more elements, VR is becoming a useful experience. Organizations are also investing in cognitive learning products that are augmented by VR especially for children and people with special needs. Added to AR and VR is the exciting new modality called Mixed Reality or MR. Already big players are making investments in MR which combines AR and VR to a great effect. Organizations will continue to take advantage of this interesting trend in the year 2019 and beyond. Videos are one of the hottest modes of training right now. 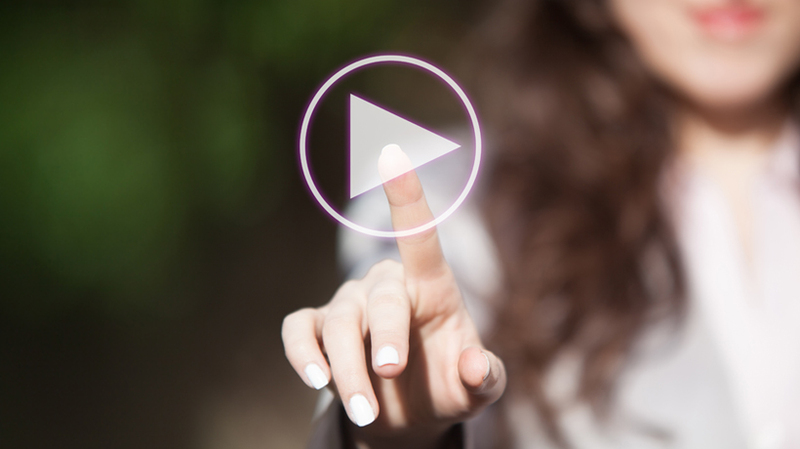 The popularity of video-based sites like YouTube have forced organizations to adopt more videos into their training. Be it Instructor-Led Training that is interspersed with anecdotal or contextual videos, or eLearning where videos play an integral part in disseminating information, videos are here to stay. The focus is on decreasing the load time and the size of videos using various tools. Video-based learning will continue to grow and will be an important trend to watch out for in the year 2019 and beyond. Social learning involves collaboration between individuals at the workplace through various modes, such as forums, informal chat sessions, sharing sessions, and learning circles. Social learning has picked up in the last few years thanks to the emphasis on building a learning organization. As more collaborative tools are developed, social learning will continue to grow and leave an impact in the year 2019 and beyond. Content curation has found a lot of support from the learning community and professionals in 2018. What will the year 2019 hold for this wonderful method of curating information and providing the learners with just-in-time information? I feel LMSs will continue to grow and offer content curation as an important method of sharing information, and provide the right experience to the learners. I see that content curation will continue to be a strong trend in the year 2019 and beyond. These are the trends I foresee as preferred modes of learning in the coming years. I would love to hear from you with suggestions on what other trends can contribute to enhancing the eLearning space during 2019. The post Top 8 eLearning Trends For 2019 appeared first on eLearning.